Comedian Kapil Sharma says that Ginni Chatrath has brought a lot of discipline in his life and her bond with his mother is beautiful. Actor Kapil Sharma turned 38-year-old on April 2. The actor gave a heartfelt interview to an entertainment portal and spoke about the changes in life after marrying Ginni Chatrath. The popular comedian credited his wife for a healthy life he’s leading today. He also said that Ginni has brought a lot of discipline in his life. 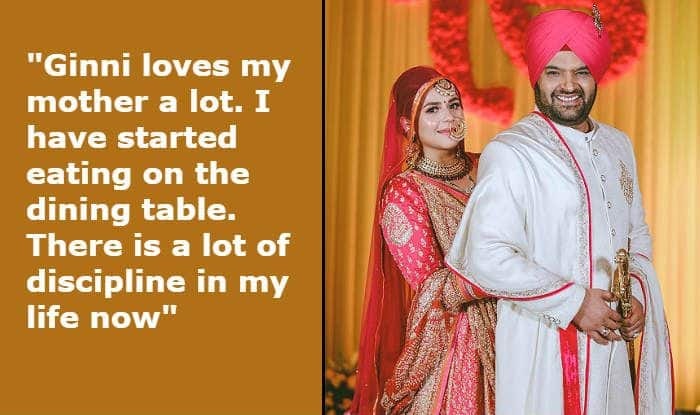 Kapil stated that marriage has resulted in making him a better person and he’s glad to see the kind of bond his mother and wife share today.